While the amount of paid applications available on Google Play continues to grow, it is very apparent that the quality is also moving forward with great strides. Today on Google Play, we have video games that were available on consoles just a few years ago, such as the Grand Theft Auto series, and even Portal. With the entrance of better apps and games, prices have also seen a rise. Not every app costs a $1, and if you want quality software for your smartphone, you have to be willing to shell out some cash. In addition, developers and publishers alike are adopting micro transactions (aka in-app purchases) to bring in more revenue from their titles. 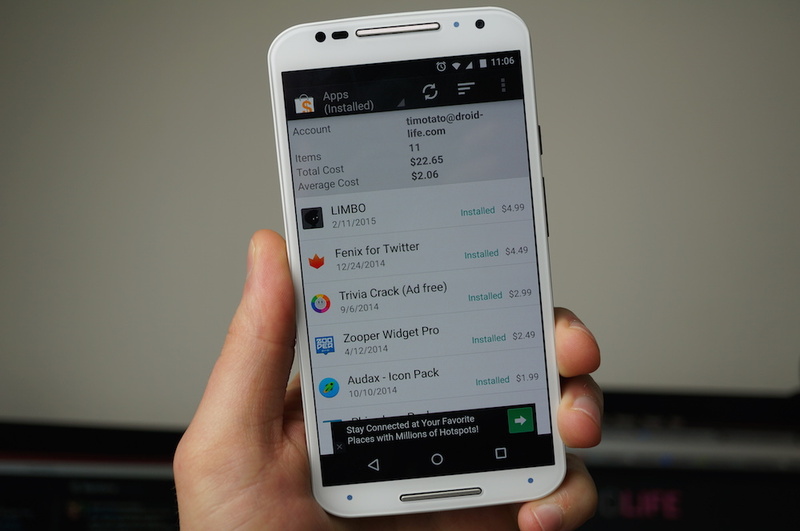 Our question today is, how much money have you spent on apps and in-app purchases? As for Kellen and I, my total apps purchased is currently at $373.97, with $42.45 of in-app purchases. Kellen is sitting at $717.01 of app purchases and $102.80 of in-app purchases. That’s a lot of “hot” icon packs and Zooper widgets. In order to get your number, download the My Paid Apps application from Google Play, grant it access to your Google account for paid history viewing, and then post your number below.